An IBM executive is unfazed by the current market realities, saying he sees Bitcoin (BTC) reaching a value of $1 million as a present possibility. Jesse Lund, vice president of Blockchain and Digital Currencies at IBM, shared his predictions at the IBM Think 2019 Conference, which took place February 12–15, 2019. 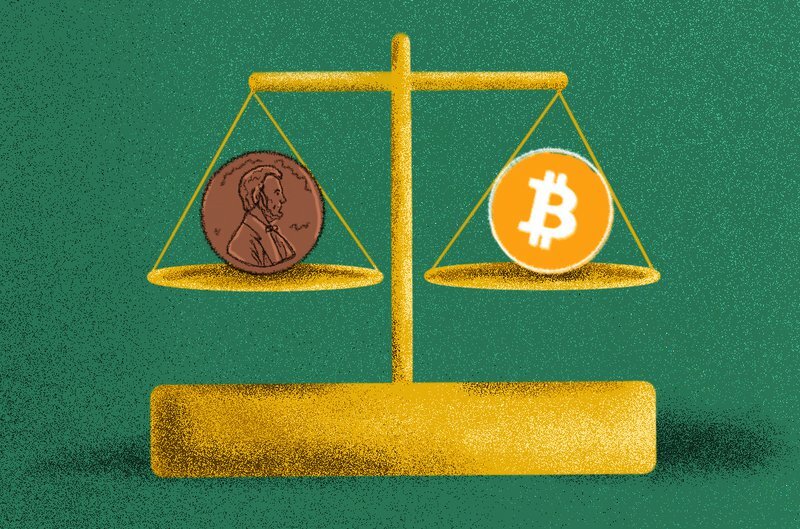 Explaining the reasons for his million-dollar forecast, Lund said, “If bitcoin is at a million dollars, then [one] satoshi is on value parity with the U.S. penny.” He is of the belief that such a valuation will give the network for the world’s most valuable digital asset a liquidity value that will exceed $20 trillion. Lund went on to say that with so much liquidity, there is potential for a significant change to the way corporate payments are being made all over the world. During the interview, Lund also touched on some of IBM’s most recent blockchain endeavors, particularly the company’s partnership with Stellar (XLM) and how it expects to integrate the Stellar network into Blockchain World Wire (BWW), its international payment channel. IBM is using the Stellar network with BWW as both an intermediate currency and a means through which transaction fees can be covered. Additionally, Lund revealed that IBM is working on forging alliances with other crypto assets. The IBM executive said the company believes in a network of digital assets that can provide settlement tools to effect cross-border payments. Also, the participants in the network should have the option to make real-time choices as they please. “It could be Ripple, and it could be Bitcoin, but it would also probably include other instruments, like stablecoins, and even eventually soon — hopefully — Central Bank–issued digital currencies,” Lund concluded. After several months since the last update there are no particular news, at the time I wrote that “…..My opinion is that the bitcoin will continue to remain for most of the year within the levels calculated with the KAMA (yellow) and therefore remains a good opportunity to buy the price area from 4000 to 5500 dollars…..” and my opinion has not changed since then. I have read everywhere that the descending triangle pattern will soon tell where bitcoin will go, whether to break upwards or downwards. I can’t say which way the price will take but usually when too many investors/traders expect one thing the market has the habit of doing the exact opposite. The bitcoin usd cross might test the 4k level for a short period of time followed by a strong upmove; a last shakeout move tends to shake out the weak hands before the next big move, many investors will be very scared in seeing the bitcoin go down to 4k usd, I do not and possibly I could decide to buy again in that price range (4000$-5200$). To conclude it’s very important to see if the level of 5200$ will be tested and broken before year’s end, if so an interesting buying opportunity might arise. 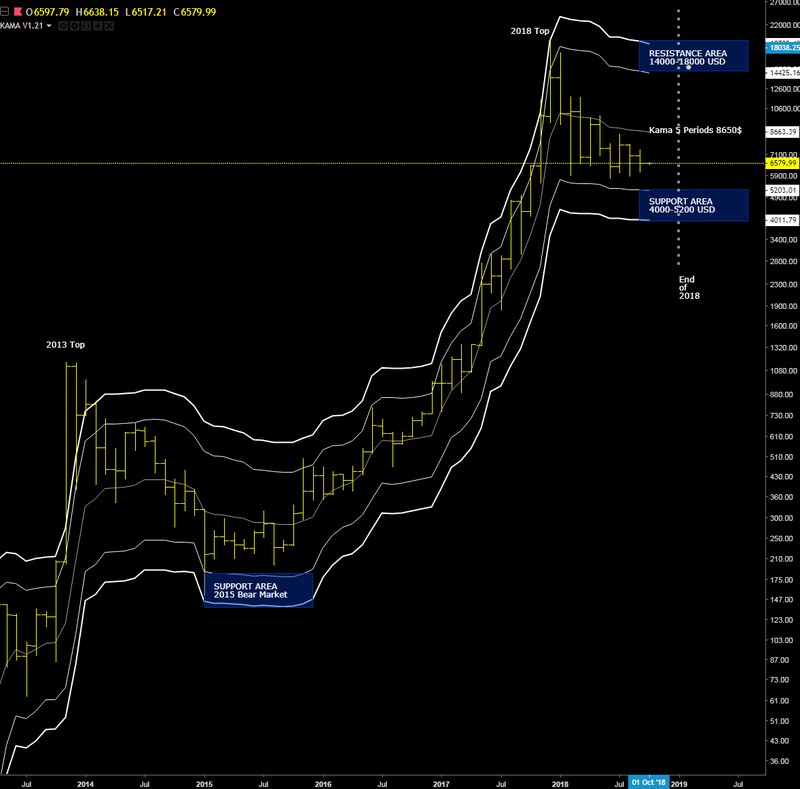 If not, then another buying opportunity might be to enter the market if bitcoin moves above the Kama monthly average now at 8650$.